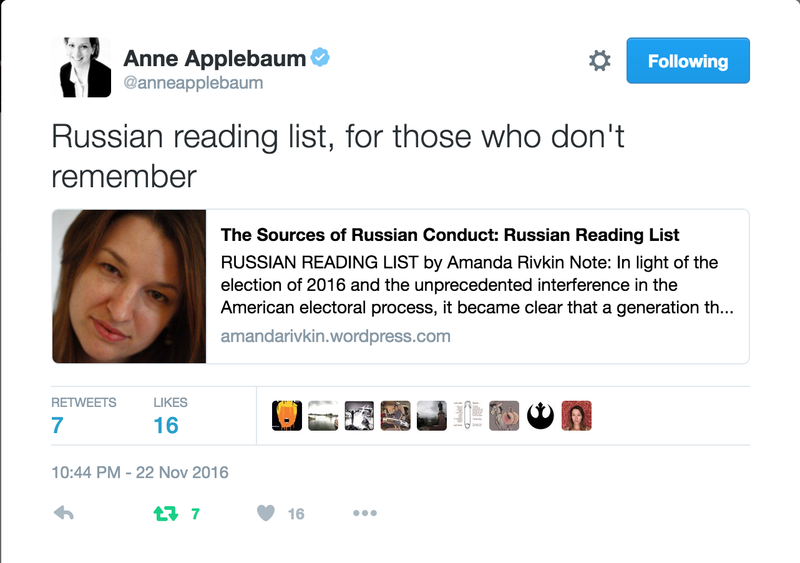 An update of “The Sources of Russian Conduct”: A Russian Reading List coming soon! 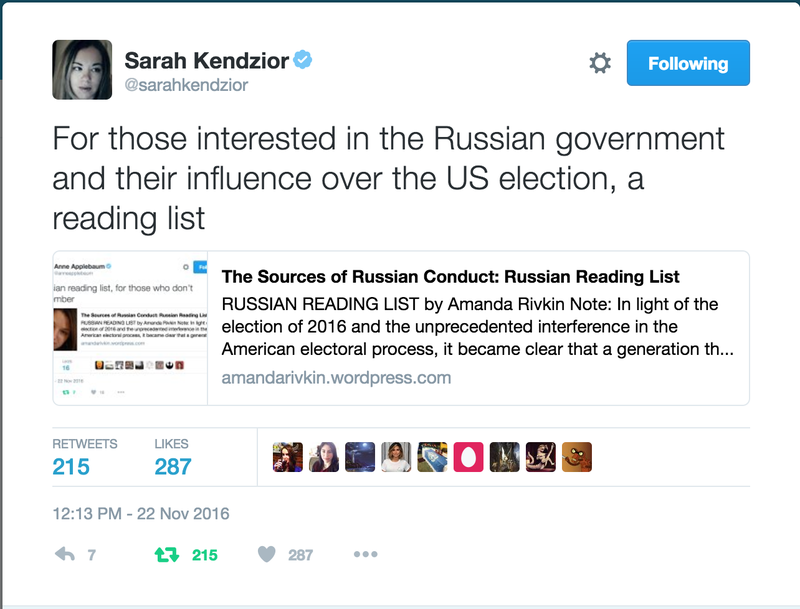 Note: In light of the election of 2016 and the unprecedented interference in the American electoral process, it became clear that a generation that fought the global war on terror is woefully unfamiliar with what a much earlier generation of American scholars, diplomats and spies would call “the sources of Soviet conduct,” after former U.S. Ambassador to Moscow George F. Kennan’s now infamous article published in Foreign Affairs in 1947. This reading list is an attempt to plug holes, it is by no means comprehensive nor does it claim to be. It is an attempt to provide a brief selection of readings following key themes of the last century of Russian/Soviet history as it is still relevant today given the Russian leader’s training as a KGB spy and deep background in the Russian state and rise in the wake of a period of profound national humiliation of the 1990s. Usual academic caveats, any errors or oversights are mine and mine alone. This list was first published on my blog on November 21, 2016.